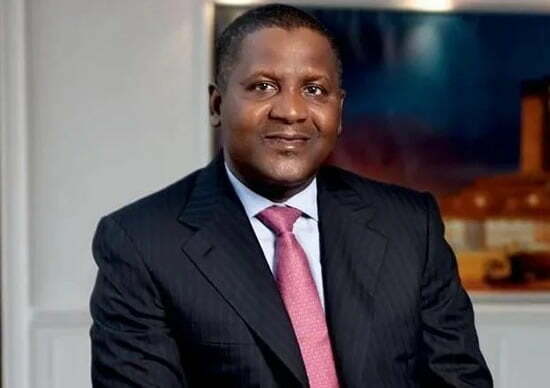 Africaâ€™s richest man, Aliko Dangote, has stated that he will consider buying another football club if Premiership club, Arsenal, would not be sold to him. â€œBy the time weâ€™ve finished the worldâ€™s biggest oil refinery in Lagos, weâ€™ll be a $30bn company in terms of revenue. â€œWeâ€™ll have an excess amount of cash to start playing around with to buy Arsenal. â€œIâ€™m very attached to Arsenal but if he wonâ€™t sell, I might have to change. Iâ€™m very much a fan of football. Iâ€™ll like to have a club. I donâ€™t have to own Arsenal,â€ he said in an interview with Bloomberg TV at the New Economy Forum in Singapore. That's why he is the African richest man go for it sir!